Are you a quiche lover? 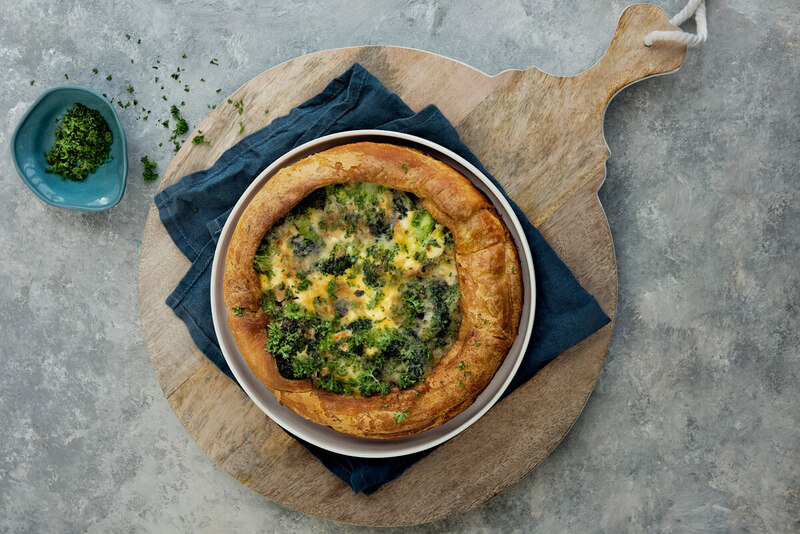 Try this delicious vegetarian quiche recipe with broccoli and cheese. You can endlessly vary with the filling, and perfect it to your liking. Enjoy the crusty edge made with the Danerolles Croissants Extra Large. Cut the broccoli into florets and cook until done. Cover the mould with baking paper in the meantime. Cover the mould with the dough royally, over the edges as well. Cut the blue cheese into pieces and divide this over the mould together with the broccoli. Mix the eggs and the sour cream well and pour the egg mixture over the broccoli and the cheese. Bake for 35 – 40 minutes in the oven at 180°C. Take the quiche out of the oven and sprinkle with parsley.